There is no dearth of creative and interesting online business ideas available on the internet. The advancement in the internet technology has made it possible to handle all the aspects of a business from the comfort of your home office. It has also reduced the necessity to lease an office right away, thus giving aspiring entrepreneurs greater opportunity to start off their business even with a small budget. In order to start your own online business, you need some essentials such as a computer, internet connection, printer, fax machine and webcam in cases where you need to conduct video conferencing. 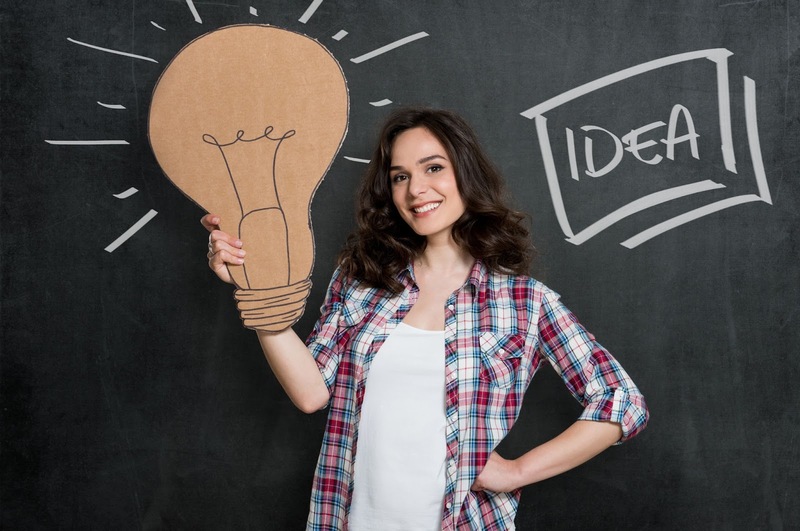 Although there are lots of business ideas we presented in our previous post about cool business ideas but here I have chosen hot business ideas which is trending now. Web designing is one of the most popular among online business ideas. It is simple to set up and you need to have some basic skills such as programming and coding skills, creative talent and a lot of patience. You can place your advertisement on social networking sites as well as create your own website to showcase your web designing talents. You can take the help of freelancing sites such as Elance to get noticed. Once you start getting projects it is only a matter of time when you will be getting even more projects through word of mouth. However, before venturing into web designing business, you should be aware of the cut-throat competition in this area because of good payback. A virtual assistant is fast becoming a lucrative idea for an online business. A virtual assistant as the name suggests is a person who manages the activities such as bookkeeping, designing marketing materials, appointment setting, creating and editing the document or updating websites etc. for the employer from the confines of their home office. The only difference is that unlike a real assistant the virtual assistant carrier all the correspondence through email and video conferencing instead of being physically present. Affiliate marketing is also an interesting field of online business ideas. More and more businesses are enrolling themselves in the services of affiliate marketing networks as a part of their marketing strategies. Therefore a person putting affiliate advertisements could benefit a lot from this online business idea. 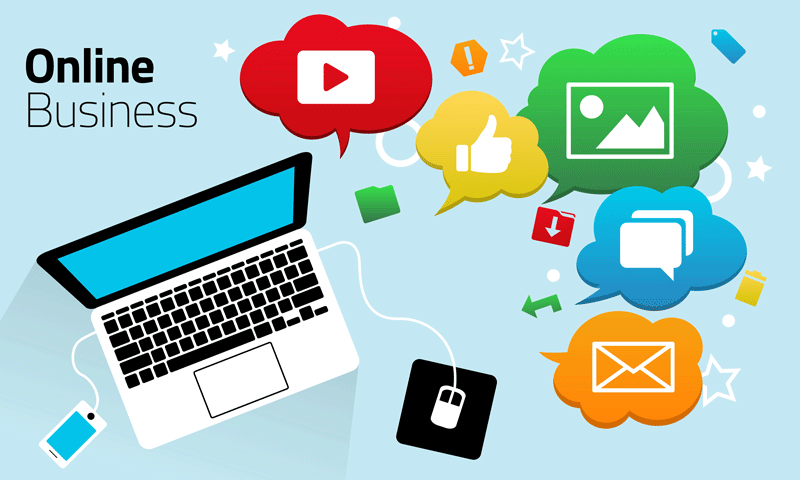 Providing internet marketing services to businesses is also a popular online business idea especially today when every company needs to be competitive and reach broader customer base. Internet marketing services include tasks like search engine optimization, blog marketing, pay per click advertising and many more. All of these services could be conducted completely online and one does not need a college course for that. You can acquire all the skills from the internet itself free of cost. Affiliate marketing is the process of earning a commission by promoting other people’s or company’s products. You find a product you like, promote it to others, and earn a piece of the profit for each sale that you make. More and more companies are starting to use this form of marketing to reward affiliates for generating website visitors to their business. Affiliates are only paid when sales are completed so it’s an extremely cost-effective tool. You need to generate regular content and reviews around a certain topic. Typically the more content and research you generate the greater the likelihood of you generating significant sales, which is why I’d always recommend marketing something that interests you. Lastly, virtual coaching is rapidly becoming one of the most sought-after online business ideas today. A virtual coach could offer services to a wide range of clientele from entrepreneur moms to mid-career changers. The fashion of consulting a life coach to make your lifestyle more fulfilling and healthy is fuelling the surge of virtual coaches since you do not need to lease an office space thus saving a lot of startup cost. You could assist your clients with their issues through email, chatting or video conferencing. Online business ideas have been increasingly becoming adopted by more and more young entrepreneurs and offering them cheaper ways to establish themselves in the industry. These are the 5 online business ideas to get started. These ideas are must need to start a business. And the focusing point is to marketing of business’s products or services effectively. Thanks for sharing.